and the benefits of good bacteria and yeast. slight fizz due to the fermentation process. also a good source of calcium and protein. the beneficial effects on overall health. • Kefir can be made with milk, soy milk, coconut water or juice depending on your preference. ingredient for dips, salad dressing, a dollop into some soup, the options are endless! 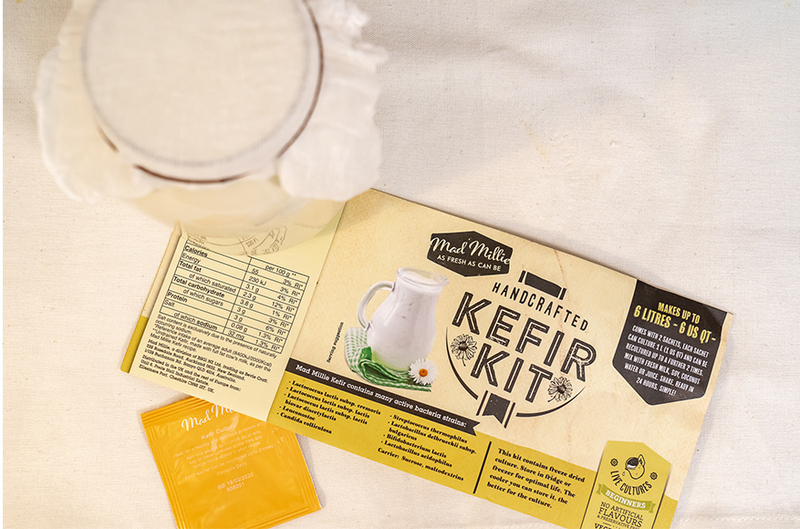 Mad Millie Kefir Culture contains 7 different strains of bacteria and one strain of yeast. Because it is a culture rather than grains it is perfect for those that want to try and make kefir without having to maintain their kefir grains. 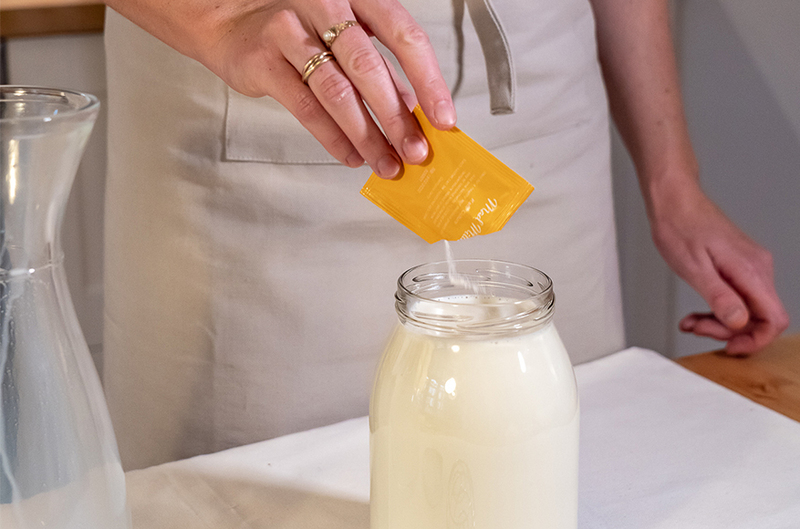 The culture can be reused one to two times – that’s up to 2L of kefir for every kefir culture packet! 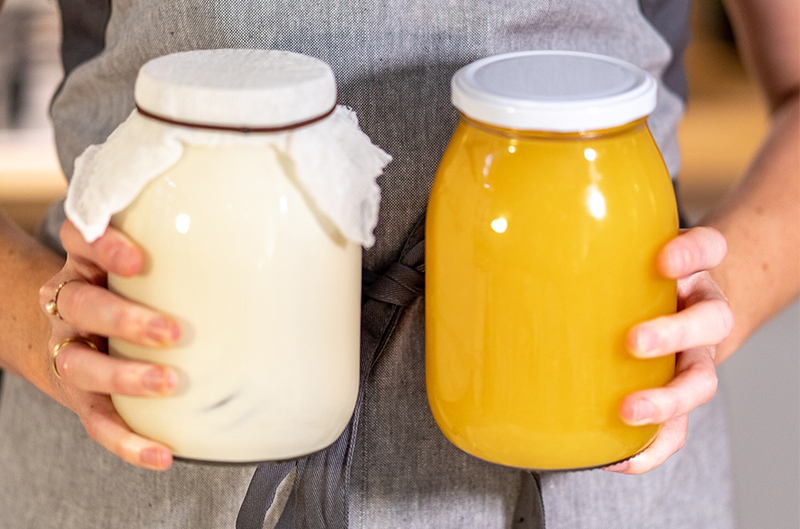 To make kefir the culture is added to a glass jar and then whatever you choose to use (milk, juice, coconut water etc) added on top. Give it a mix, cover it up with a cheesecloth, leave it at room temperature for 24 hours or until it has reached your desired tartness and voila! During that time the bacteria and yeast in the culture will have had time to ferment the sugars and the bacteria can proliferate and grow. After the 24 hours pop it into the fridge and use it as you desire.